While issuing notices to the authorities concerned and the mining companies, the Bench adjourned the case to July 31. 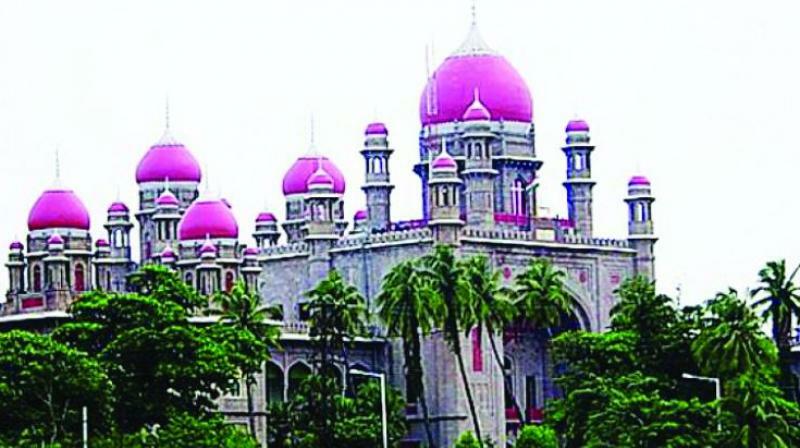 Hyderabad: Maintaining that alleged illegal mining has became a threat to the society and environment, the Hyderabad High Court on Tuesday made it clear that illegal mining should not be allowed to continue. A Division Bench, comprising Chief Justice Thottathil Bhaskaran Nair Radhakrishnan and Justice Ramesh Ranganathan, was dealing a PIL by Gaijala Kantham seeking to declare the action of the Director Department of Mines and Geology, Government of Telangana, in failing to recover a penalty amount of Rs 749 crore from various mining companies despite the directions given by the state government as illegal. Nazir Ahmad Khan, counsel for the petitioner, submitted that several mining companies in Karimnagar district has been supplying granite blocks to the Railways and they are avoiding the royalty by manipulating the size of the blocks. He said that though the petitioner had made several representations to the authorities concerned for recovering the penalty from the errants, they have not taken action till date. The Bench said that none of them are bothered about the illegal mining which has been causing damage to the environment and the society and this court will not remain as a mute spectator on the rampant illegal mining. While issuing notices to the authorities concerned and the mining companies, the Bench adjourned the case to July 31.